Lee Precision 12 Cavity Round Ball Mold produces a .490 diameter ball. Produces 6 linked pellets per cast. Most reloaders find working with cast iron blocks difficult. The Lee Bullet mold makes casting bullets fast and easy, and have tangential cut off which eliminates the objectional nib at the sprue. No more casting several bad bullets to get your first good one. By following the simple instructions, your first pour will be good in most cases. Handles NOT included. 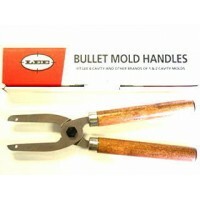 Mold in Picture is a 18 Cavity Round Ball Mold with handles sold separately. Lead contamination in the air, dust and on your skin is invisible. Keep Children and pregnant women away during use and until clean-up is complete. Risk can be reduced, BUT NOT eliminated , with strong ventilation. Washing hands immediately after use of these products before eating or smoking. Careful cleaning of surfaces and floors with disposable wipes, after lead dust has settled. Use lead-specific cleaner with EDTA or high phosphate detergent (such a dishwasher detergent). Bag wipes for disposal. 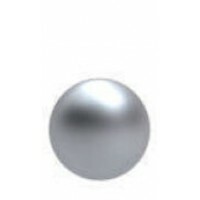 Lee Precision Double Cavity Round Ball Mold produces a .375 diameter ball, 79.16 grains. Most reload..
Lee Precision Double Cavity Round Ball Mold produces a .395 diameter ball, 92.52 grains. Most reload..
Lee Precision Double Cavity Round Ball Mold produces a .380 diameter ball, 82.37 grains. Most relo..